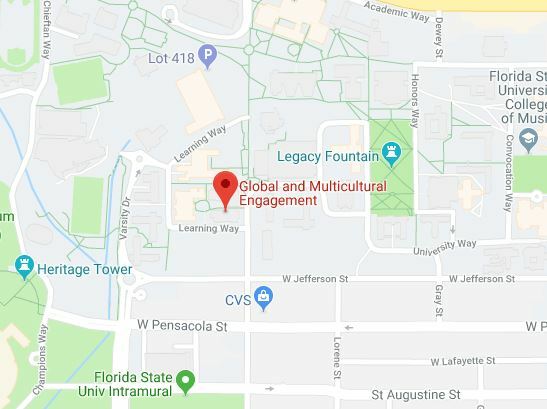 The Center for Global Engagement will host the monthly Block Party at the Commons Courtyard (the outdoor area between the ASLC and the Globe) with the Tolerance and Dialogue Group. The Tolerance and Dialogue Group's primary goal is to help bring together communities in order to promote compassion, cooperation, partnership, and community service through intercultural dialogue and conversation. The Block Party is in conjunction with the CGE's weekly International Coffee Hour where they will be serving Noah's Pudding, also known as asure, a dessert made from grains, nuts, and fruits. Noah's pudding is a symbol of unity and stands for the harmony of differences. It is traditionally shared with friends and neighbors. Many Division of Student Affairs departments will be tabling and sharing information about their programs in the Commons Courtyard. Free and open to the public. From March 5-19, the CGE had the pleasure of hosting the first half of the practicum portion for Dr. Ekaterina Stepanova, 2016 Fulbright Russian International Education Administrator's (RIEA) Fellow (shown above, back row fourth from the left, with other CGE staff members). Stepanova is a Public Relations Specialist responsible for International Education Administration and Public Affairs at the Volgograd branch of the Russian Presidential Academy of National Economy and Public Administration (RANEPA). She spent two weeks touring FSU, interviewing staff, shadowing the day-to-day efforts of the CGE, as well as working on a research project related to international student orientation. "I feel at home here, and I love the team that you have here," said Stepanova at the end of her two-week visit. "After meeting with staff who generously shared their best practices, I am confident that I will apply new skills and experiences in my home university." Stepanova is currently spending two weeks of her practicum at Seminole State College before returning to Russia.